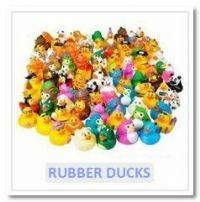 Welcome to Novelty Toy World, the bulk quantities wholesale website where you’ll find a fantastic selection of unique novelties, toys, games, inflatable toys, fancy dress for children and adults, party supplies, novelty homeware, gifts, novelty electronics, clothes and accessories, and teaching supplies. We strive to provide our trade customers with a wide range of unique novelty products, not found elsewhere in the UK. We deal in larger quantities than most other toy wholesalers, but smaller bulk amounts than you would have to buy from manufacturers, providing our online customers with a low price per unit at manageable product numbers. We also have a flat rate for UK delivery and no minimum order requirements, so what you see is what you get! Unlike with other wholesale distributors, you're free browse and purchase from our website without making a trade account, meaning you’re just a few clicks away from providing your customers with truly innovative and unique products for online or offline resale. Whether you're looking for something different for your retail shop, wholesale promotional novelties for your marketing project, or exciting items and supplies for your event, then you're in the right place. See what some of our customers have to say on our Toy Shop UK listing. Have fun and browse our extensive selection of novelty products! Find the wholesale items you’re looking for by browsing our ever-growing bulk buy range of various novelties, toys, games, fancy dress accessories, and wholesale gifts for retailers. We’ve made browsing our online shop as easy as possible by arranging our novelties and toys into over 200 categories; use the left-hand menu, displayed throughout the website, to navigate through our entire online catalogue of novelty supplies. Themes include Christmas, Easter, Halloween, and many more party themes or specifically themed toys. You can also use the search function to look for unique wholesale novelties by keywords. Here at Novelty Toy World we can help you with product sourcing from all over the world. Our services include product sourcing for single cases of items, to bespoke quotes for large bulk quantities of unique novelty products not found elsewhere online. We are also experienced in managing the full overseas manufacturing process and import of products into the UK and Europe. For more information see our sourcing novelty products section, or get in touch by phone or email. Perfect for parties and events. average unit price of £0.83 per piece.